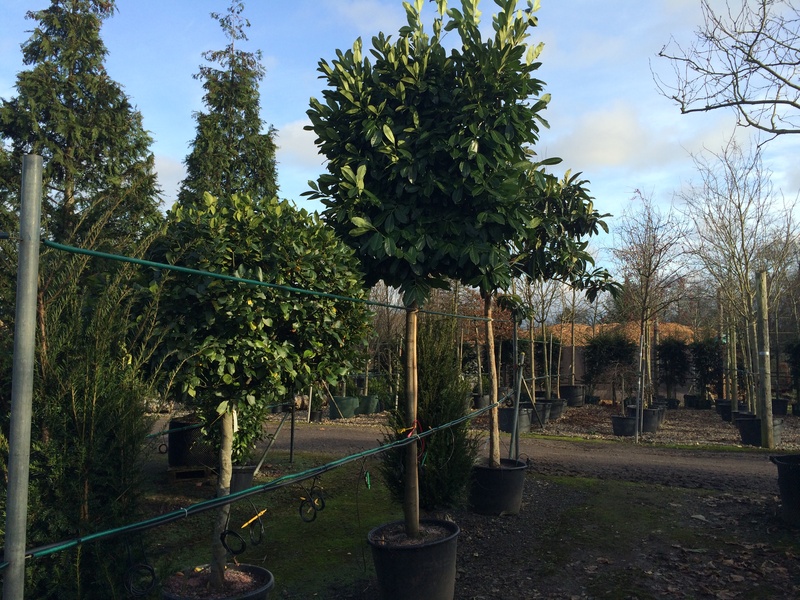 Originally from areas surrounding the Black Sea, the Cherry Laurel has taken very well to British soil and is popularly used for hedging, due to its upright and bushy habit. Its large leaves are elliptical, shiny and bright green. This plant produces small, sweet-smelling, white flowers, which grow in vertical racemes, about 12 cm tall. It also produces a small, cherry-like fruit, which, like the rest of the tree, is poisonous and can be harmful if consumed. 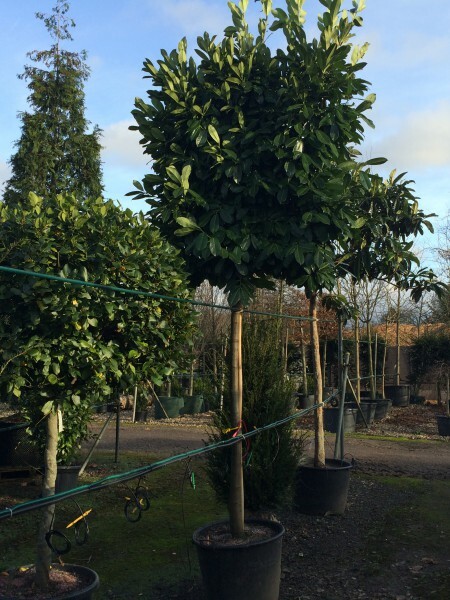 We sell this in a pleached frame form, which makes for vigorous screening.